The French Invade Santa Monica! By all appearances, it seemed to be a quite peaceful day. The sun was shining, birds were singing and the air was crisp. We were blissfully unaware that slightly west of us, the French had begun their invasion of the Fairmont Miramar Hotel in Santa Monica. August arrived to whisk us away in a white Suburban from Sunset Limousine. We rode in comfort, Linda, Corie, Roger and I and about an hour later pulled into the grand entrance of the Fairmont. At least 20 uniformed bellmen lined the entrance to the lobby as we made our way in for an afternoon of sampling the 2009 vintage of Grands Crus de Bordeaux. Representatives of 97(!) Châteaux were on hand to greet us and pour us tastes of what many are hailing as the best Bordeaux vintage in recent memory. 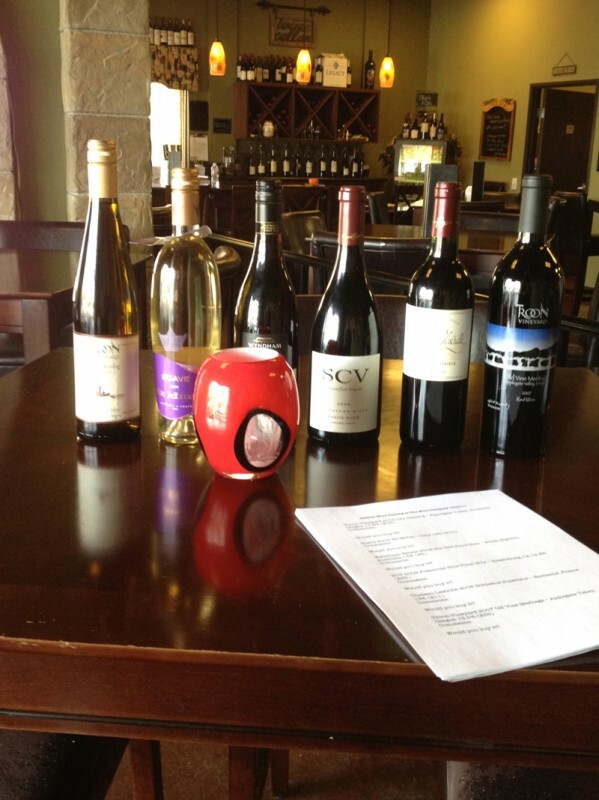 So many wines to choose from, so many decisions to make. 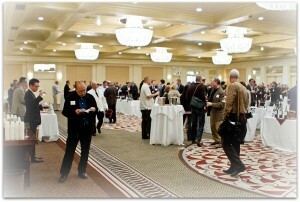 Whites, reds and Sauternes were all available. 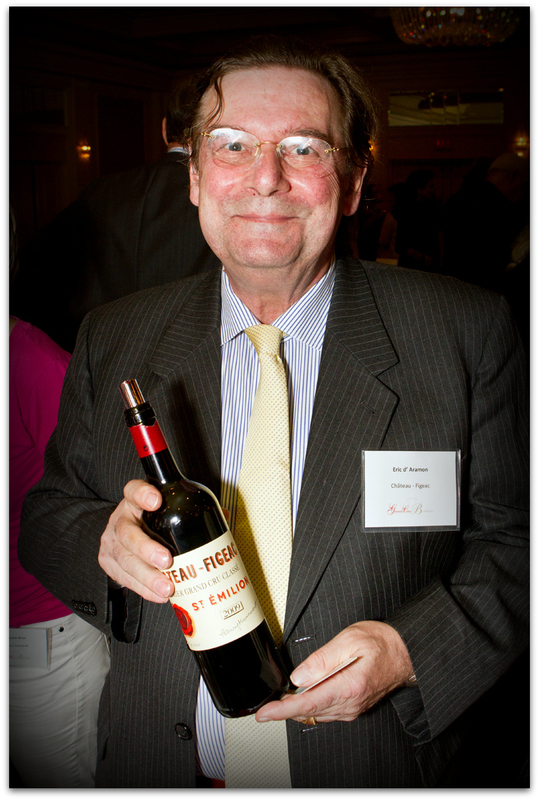 I started with the reds and visited producers including Château Phélan Ségur, Château Angludet, Château-Figeac and others. 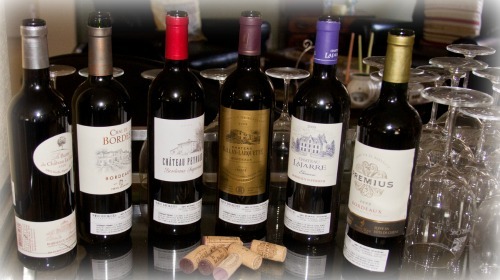 The ’09 red Bordeaux took my palate a bit of time to adjust, but soon I was savoring these most impressive wines and imagining how elegant they will be 10 to 15 years from now. Plates were laden with a variety of cheeses from hard to triple crème, charcuterie and dried fruits. 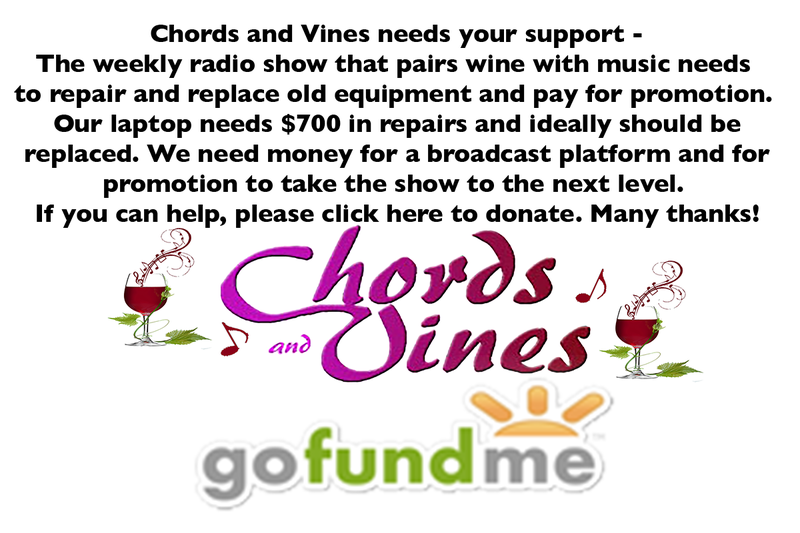 The addition of food, especially the cheeses, intensified the experience of the wine. I found the representatives, many of them Château owners, to be charming and quite passionate about their wineries. Many of the châteaux have a history dating back centuries ago. Each has its unique tale to tell. Following the reds, I sampled a a few of the white Bordeaux, mostly blends of Sémillon, Sauvignon Blanc, Muscadelle and Sauvignon Gris. I found them crisp, bone dry and a refreshing change of pace from the California whites that I normally drink. 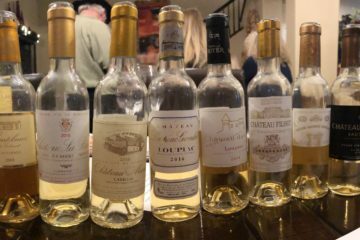 As you’re likely aware, Sauternes are a blend of Sémillon, Sauvignon Blanc, Muscadelle that have been affected by Botrytis cinerea, also known as noble rot. The best known Sauternes producer is Château d’Yquem, wines that start well over $100 a bottle. These wines are a riot of flavor and the experience again is heightened by the addition of cheese. As the afternoon wound down, the four of us walked out to take in the afternoon breeze and gaze out at the Santa Monica. The French invasion had come to an end. August gathered us for our trip home as we savored tastes and shared stories. 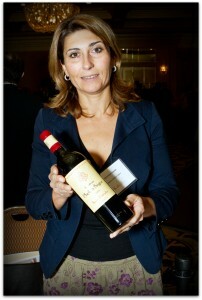 The 2009 vintage of Grands Crus de Bordeaux. 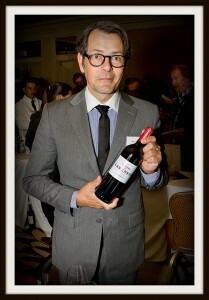 I highly recommend you pick up a bottle or two, and then tuck them away to savor at a later date. 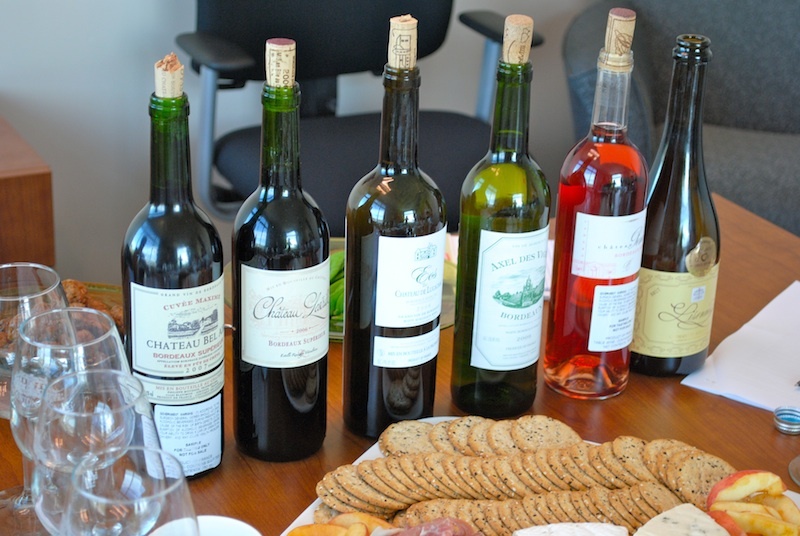 Women’s Wine Council – Oh, Bordeaux!